The protection of Venice and its lagoon from high waters has always been a major concern for the Italian Governments and after the dramatic flood event of November 4th 1966 (194 cm above Punta della Salute conventional zero level) an international call for bids was issued in 1975. Five groups of engineering companies and contractors presented their projects; none was awarded the contract but the Magistrato alle Acque acquired all five projects and assigned to a group of seven university professors the task of collecting the best features of all projects and compiling a new design that was dubbed “progettone” (great design). In 1984 the Italian Government awarded to Consorzio Venezia Nuova the concession contract to design, produce, install and supervise all works connected to the safeguard of Venice and its lagoon from high waters. The CVN awarded the contract for the design of all works to Technital. In 1987 Technital called Tecon to take responsibility for the management of all studies being performed by international hydraulic research institutes and engineering companies to ascertain the dynamic behavior of the gates in the barriers and study a number of technological details. Besides this activity, during the summer of 1987 Tecon developed the detail design of the full scale experimental module of one gate. This test prototype named MO.S.E. 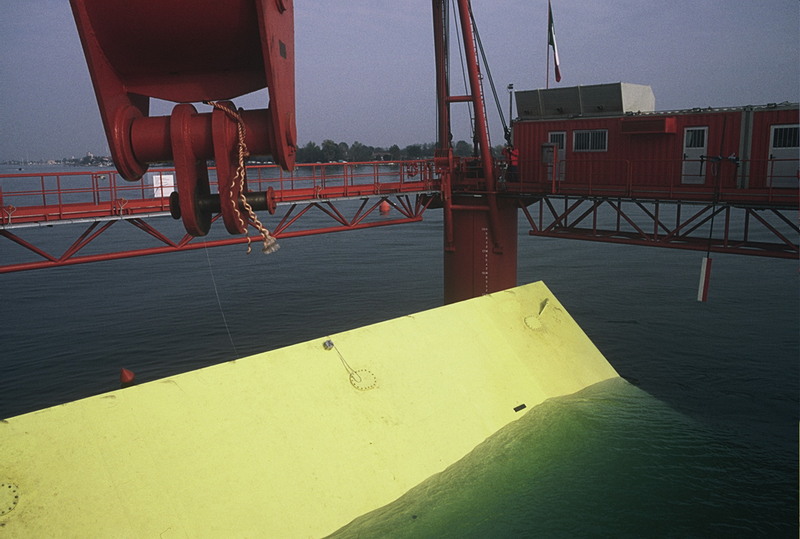 (acronym of the Italian words for Experimental Electro-mechanic Module), was built and installed in the Lido Treporti lagoon inlet in 1988 and remained at site, except for short periods when it was refloated and towed back to the yard to install different components, until 1991 performing a very large number of tests of gate raising and lowering maneuvers as well as gate installation and removal operations and other experiments on materials and technological details. Based on the positive results of the Mo.S.E. experiments the full project of the flap gates for the four barriers was sanctioned and is now referred to as MOSE. Tecon developed the various stages of the gates design according to the following schedule dictated by the Italian Governments: 1988-1989 preliminary basic design, 1991-1992 basic design, 2001-2002 final design, 2004-ongoing detail design, 2013 first gates installed and tested in the Treporti barrier. 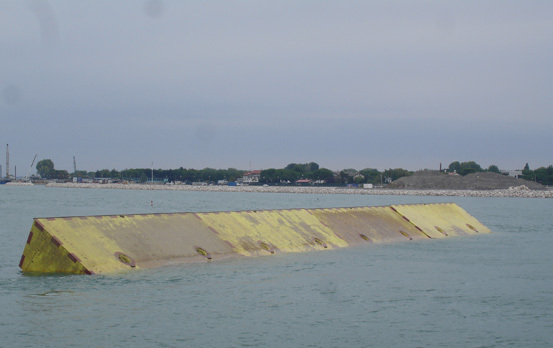 During the whole period of the Venice Flood Prevention Scheme Design, Tecon was involved first in managing studies aimed at defining materials and technological components to be used for the project and further studies to ascertain the dynamic response of the barriers formed by flap gates. 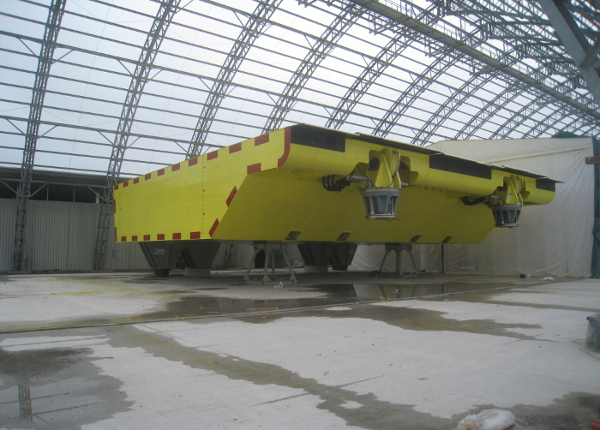 Tecon then developed the full design of the experimental module Mo.S.E. and followed the tests performed with this full scale prototype. Once the functional design of the gates was finalised and frozen, Tecon developed all phases of design of the gates at the four barriers: Chioggia 18 gates, Malamocco 19 gates, Lido San Nicolò 20 gates, Lido Treporti 21 gates. This process was extremely long and delicate because the design had to undergo the review and approval of a number of political bodies, which availed themselves of many, different experts: university professors, international panels of engineers and professors specialised in flood prevention schemes, technology experts for the various components of the gates. 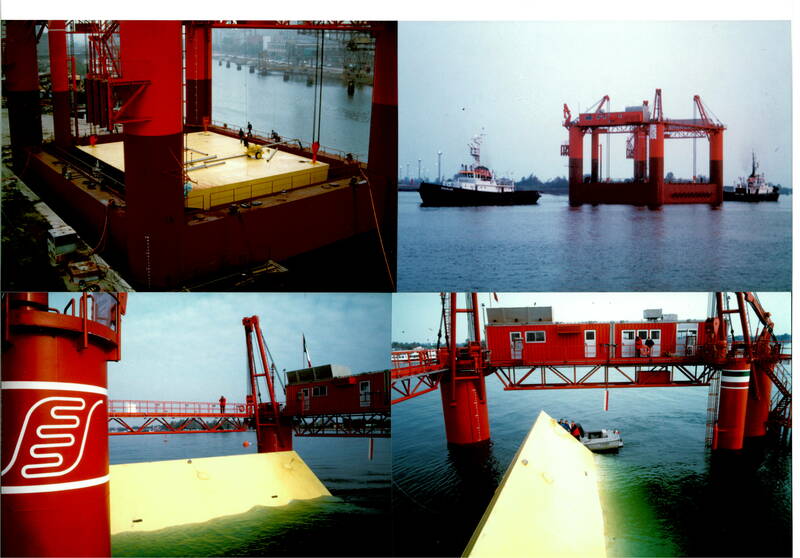 The design of the gate structures was developed following the general philosophy applicable to barge hulls, considering that the gates are subject to internal and external overpressures caused by the differential head they have to withstand and by the corresponding amount of ballast water left inside and internal pressure necessary to reach and maintain the air/water interface elevation. The gate structure was modelled with two dimensional finite elements with exception of the very thick plate elements through which the spherical bushings housing the rotation pins are installed. 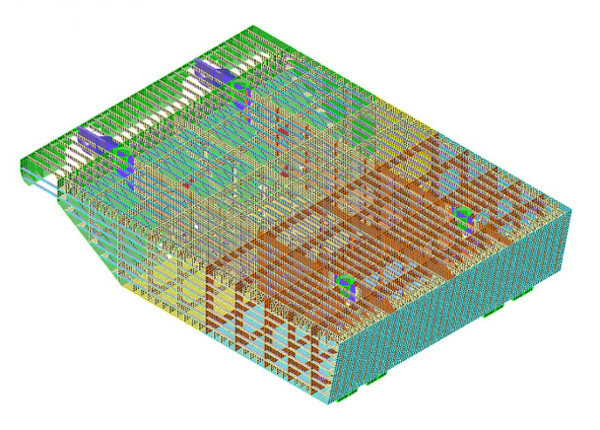 Extensive FEM analyses with solid elements were performed to accurately represent the stress flow pattern in these areas and reach satisfactory consistency between the results of the structural analyses and of the mechanical checks performed by others on elements such as the bushings and other parts of the hinge-connector units.